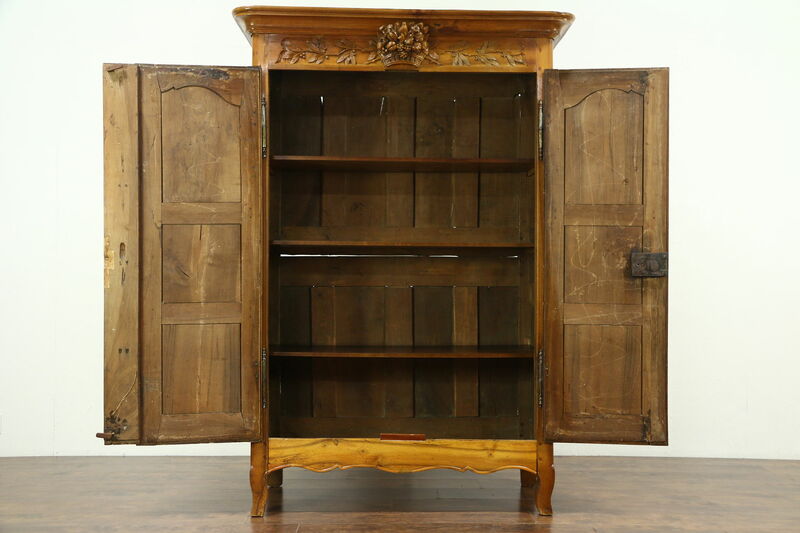 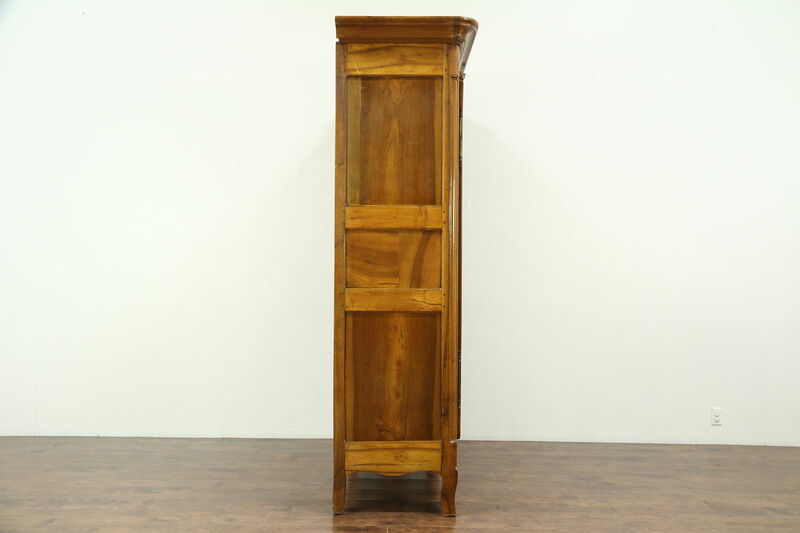 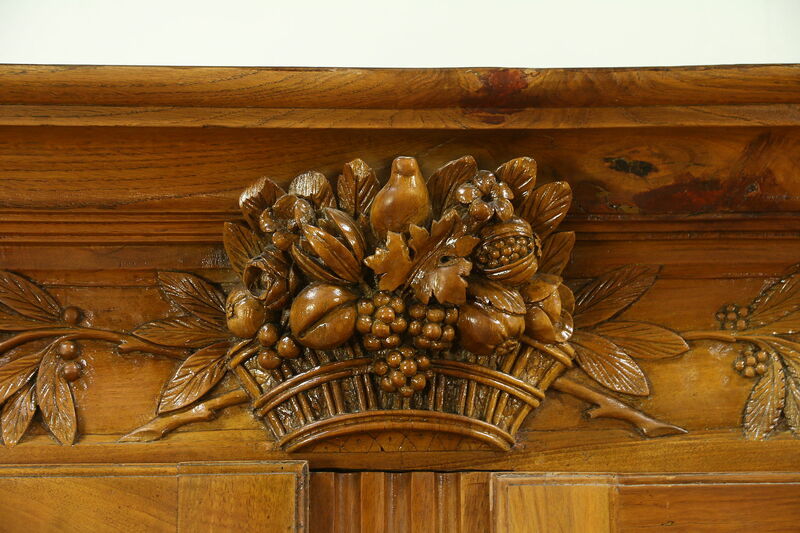 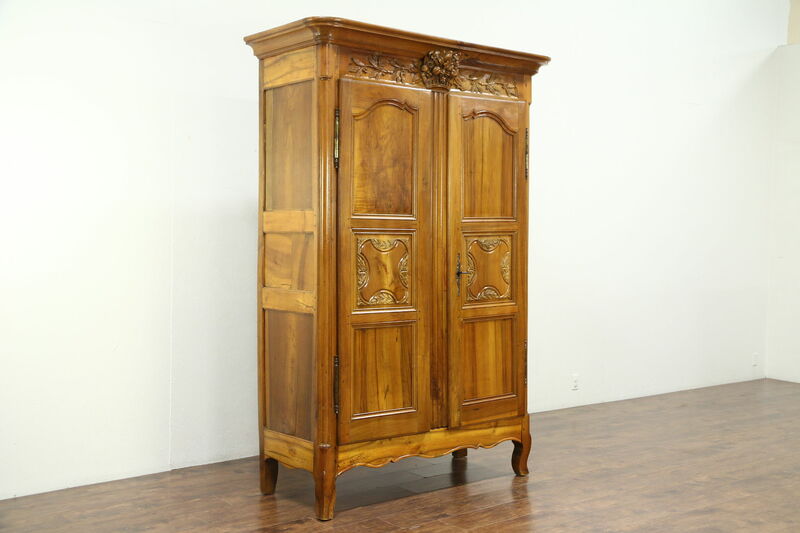 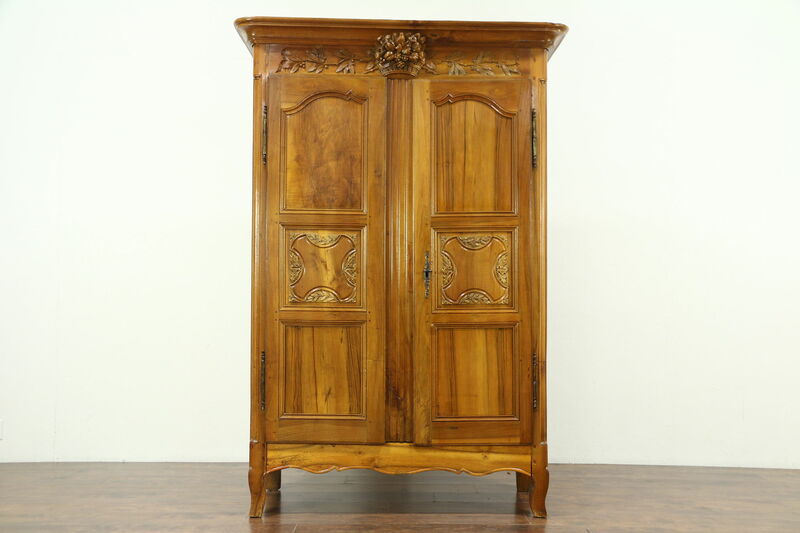 A elegant Country French armoire or wardrobe was hand carved about 1780 of solid fruitwood with a bird, vines, berries, grapes and other fruits. 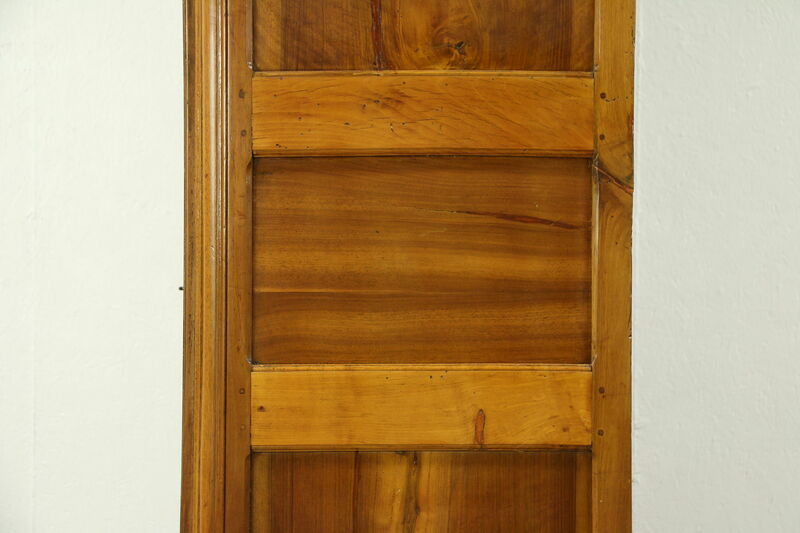 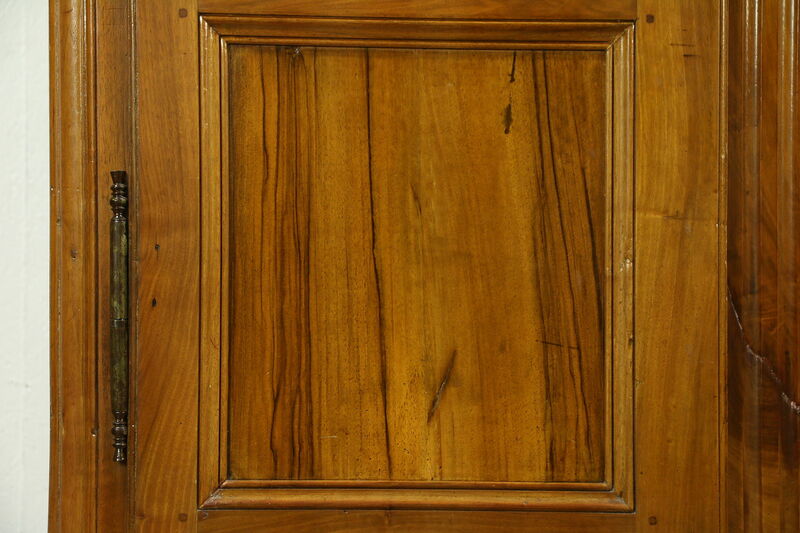 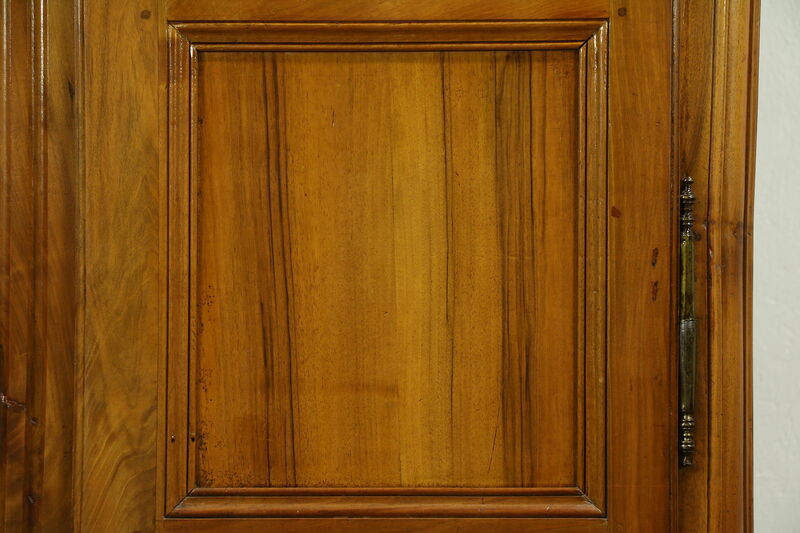 The restored finish has wonderful warm patina and is in very fine condition. 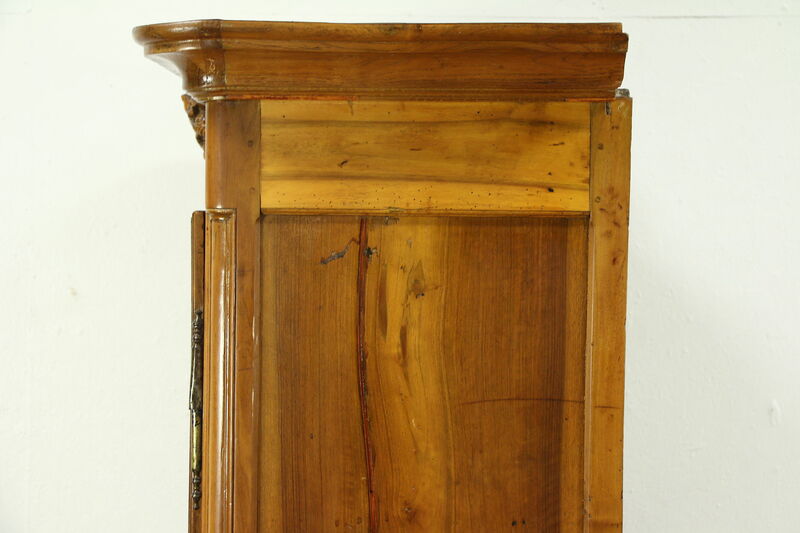 Inside are three later shelves which are removable, a closet pole could be installed if desired. 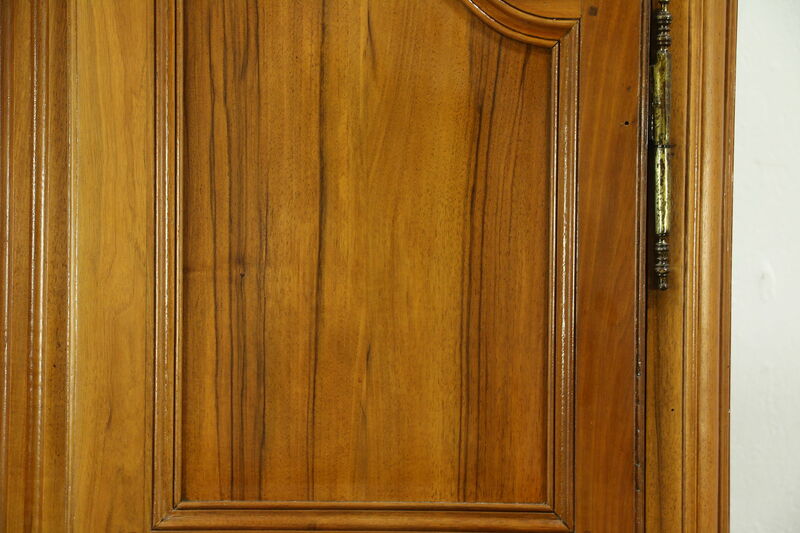 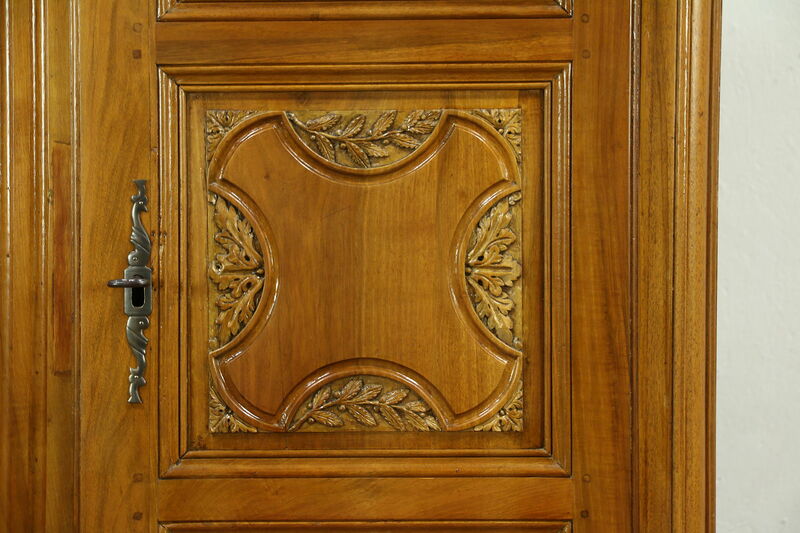 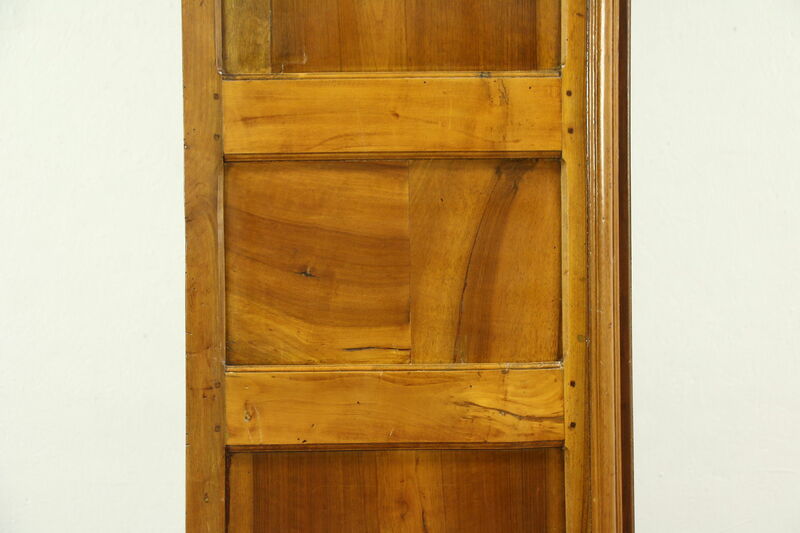 There are burl panels, joints have carved wooden pegs and the doors have original lift off hinges and a giant working lock. 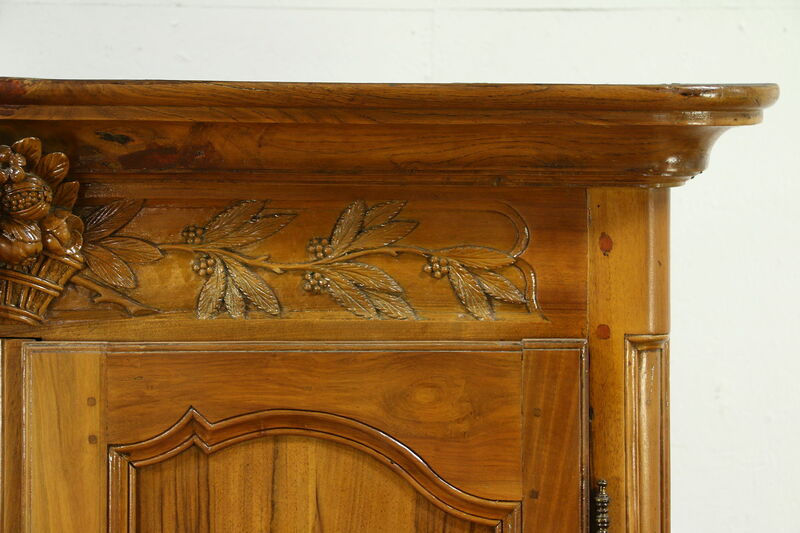 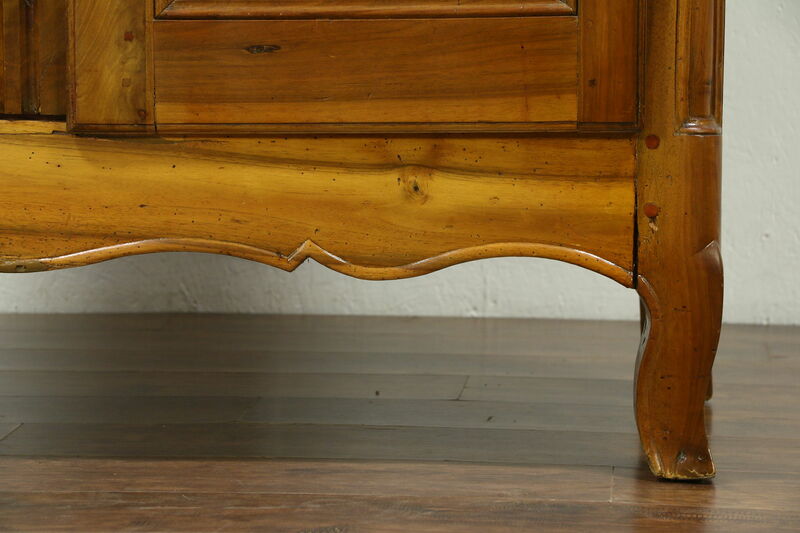 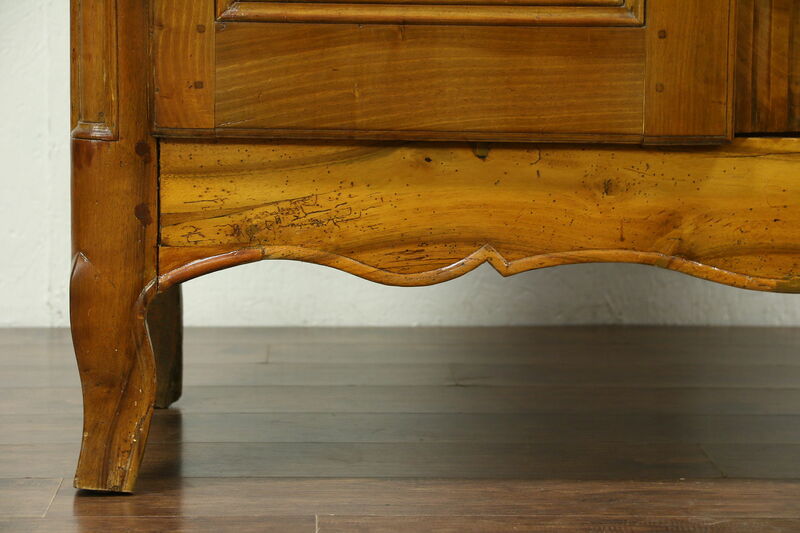 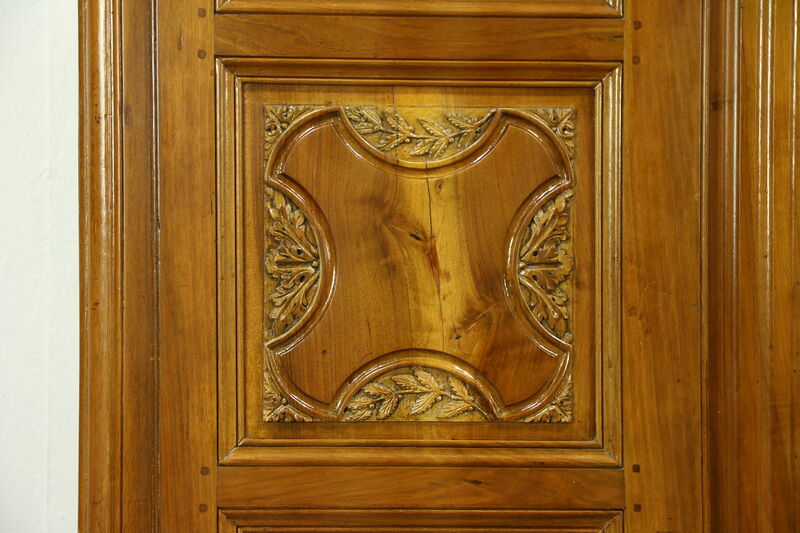 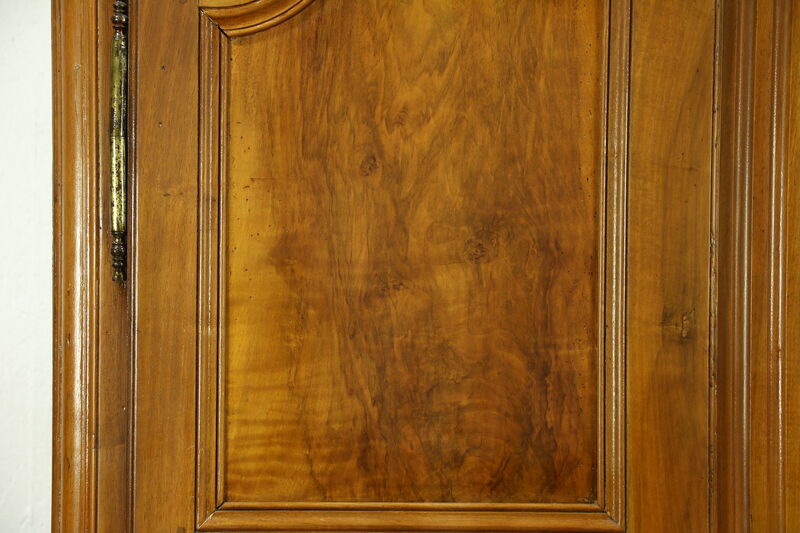 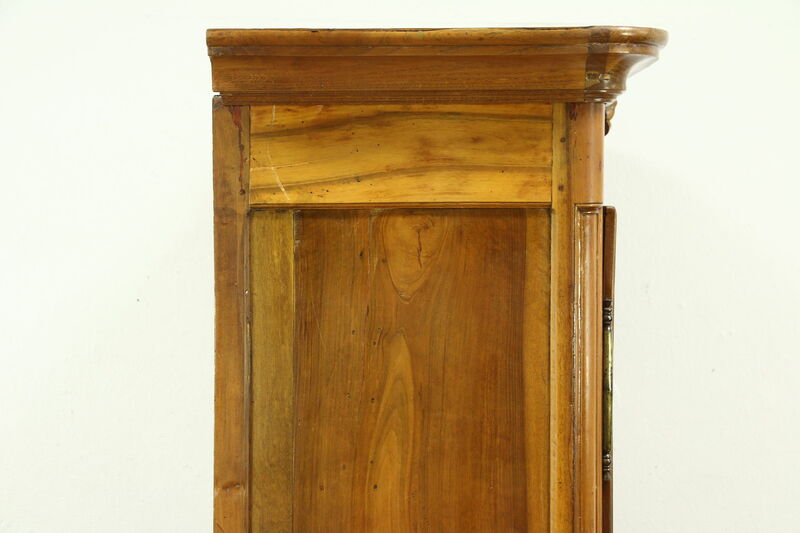 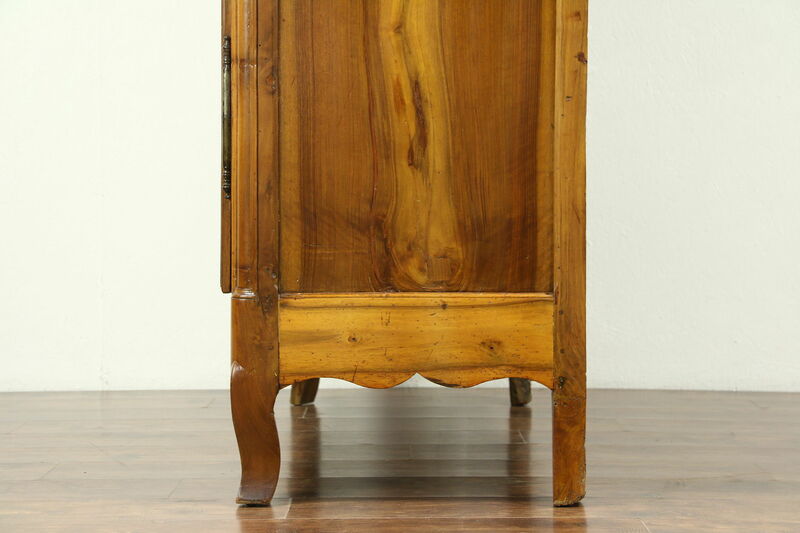 Numerous shrinkage separations show the age of this antique furniture from the south of France. 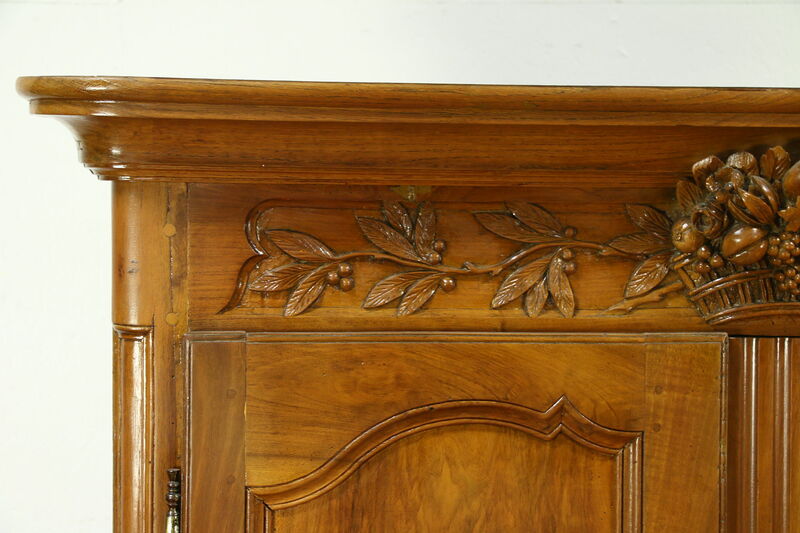 There have been various restorations over the centuries. 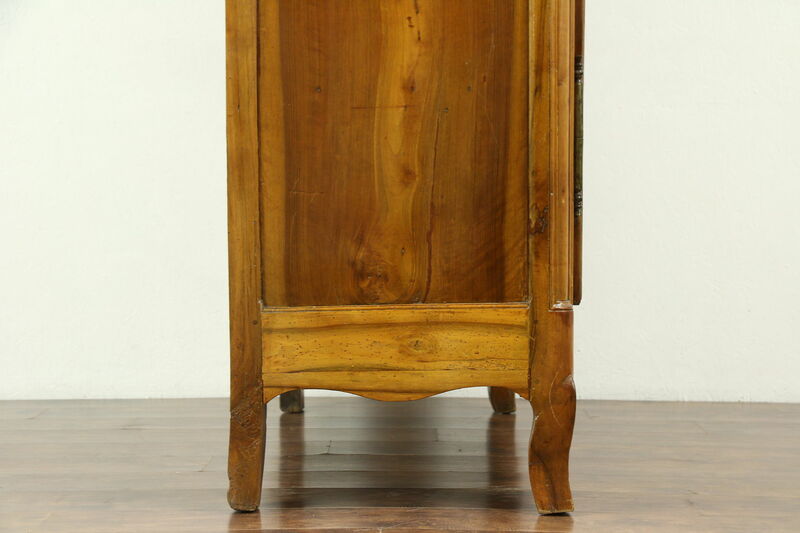 The crown is not easily removable, and this historic cabinet is a single piece, so measurements must be taken before delivery. 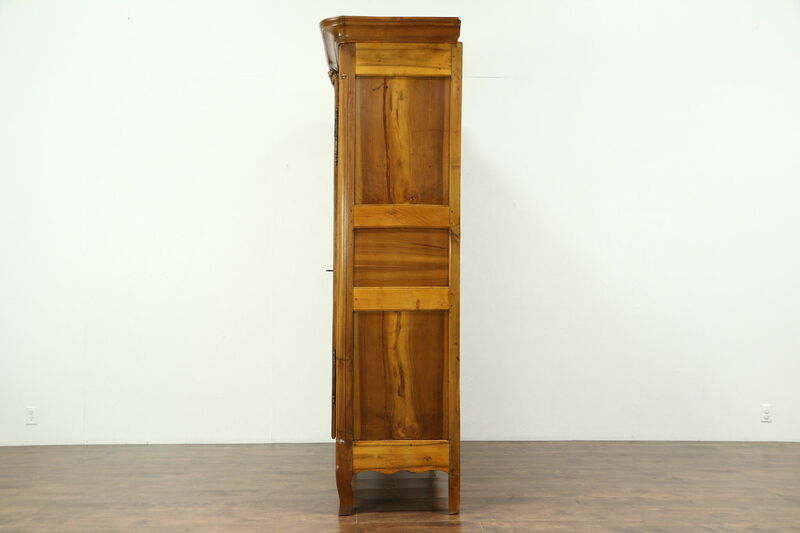 Dimensions are 61 1/2" wide at the crown, 27" deep and 89 1/2" tall. 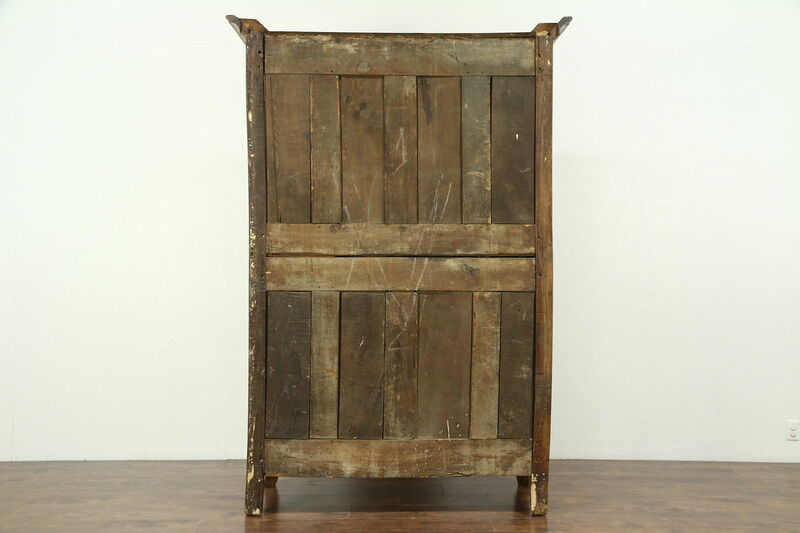 On its side, this will go through a 28" or wider doorway.